to understand how things work in space, mind and group. 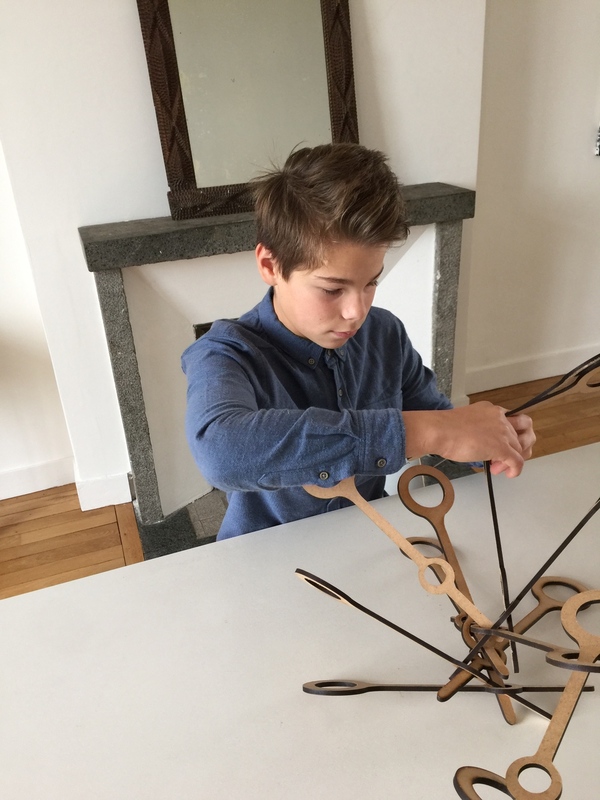 The Koduki® is an artist game invented by Renaud Gaultier that promotes the expression of individual creative intelligence as much as collective. It consists in uncertain behavior keys that slip in and engage each other in as many imaginable and new forms. A challenge for the hand and the mind, the Koduki® targets children from 7 to 77 years-old. Alone or with others, it quickly becomes addictive. Available in various sizes from 19 cm long, the Koduki® is produced with CNC machines, laser cutting machines giving it the scent of burnt wood is one of its signatures. For any specific request, size, material or color, please contact us. Used in serious game, it helps break the ice and develops cooperation. It may be a valuable assistance in collective evaluation situation because it reveals both the cognitive path and behavior in and as a team. It is recommended to use protocols to frame the situation. For any organized intervention request, do not hesitate to contact us. © création Renaud Gaultier 2012 - tous droits de reproduction réservés. La SMAF® et Koduki® sont des marques et des modèles déposés.